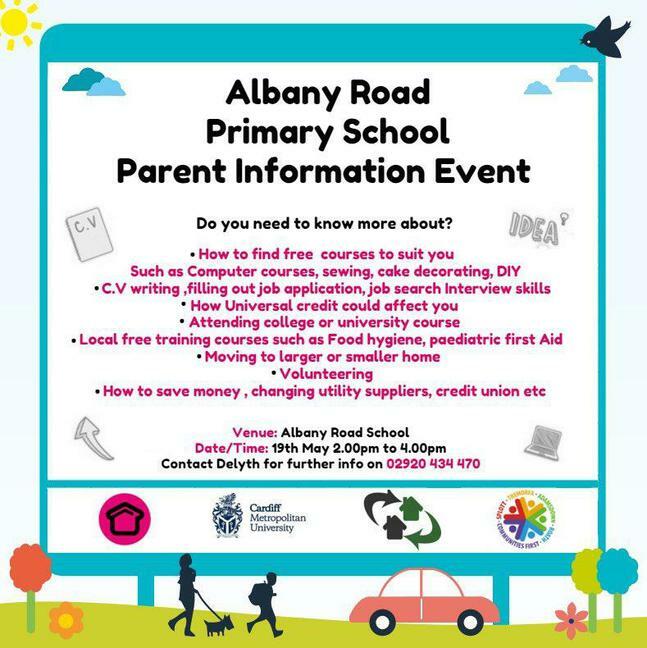 We are excited to be hosting an event for our families at Albany. We have linked up with a number of agencies who will be coming to the event to offer support and advice to anyone who attends. There will be people who can give advice on finding work - paid or voluntary, accessing free courses, help with Universal tax credit and many more things. Please see the flyer for further information.